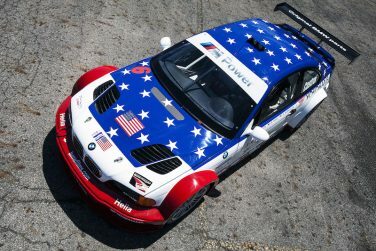 The Z3 is based on the E36 3 Series platform and was the first BMW model to be solely manufactured outside of Germany. It was manufactured in the South Carolina, USA. 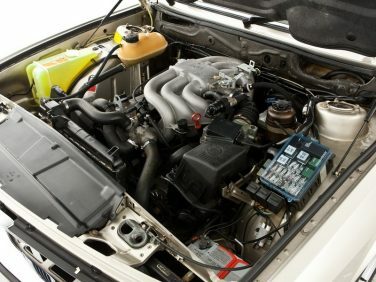 The BMW M20 motor first became fuel-injected in the 1978 323i with the engine code M20B23, one year after the M20 was introduced as a carbureted motor which was code-named M20B20. 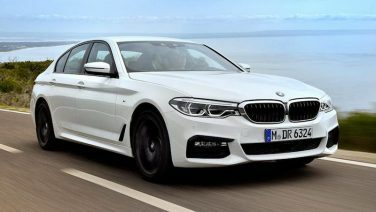 The 2017 BMW 5 series supports energy-saving coasting by decoupling the engine from the drivetrain when the driver lifts off the accelerator at higher speeds. 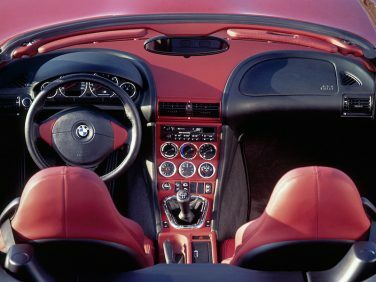 The BMW Z4 sDrive30i engine weighs just 355 lbs thanks to its composite magnesium / aluminum crankcase, cylinder head cover made of a special synthetic material and lightweight camshafts with aluminum VANOS control unit. The motor puts out 255 hp. 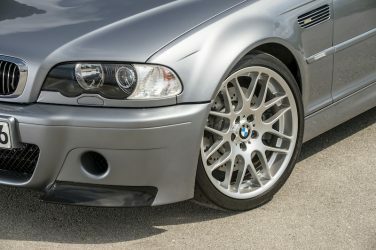 The BMW E46 M3 CSL features an extremely large intake air opening and a large air collector made of carbon fiber, this intake air system enables the engine to breathe in even more air than usual, which is why the camshafts come with longer valve opening periods than the standard M3. 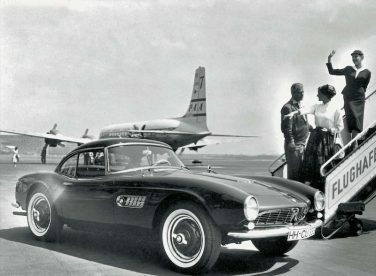 The BMW 507 Initially intended to be exported to the United States at a rate of thousands per year, it ended up being too expensive, resulting in a total production figure of 252 cars and heavy losses for BMW. 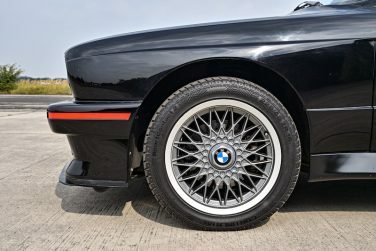 The adjustable splitter on the front spoiler and 16-inch light- alloy wheels with painted Nogaro Silver center of the rim were among the most distinctive external features of the 1990 BMW M3 Sport Evolution. 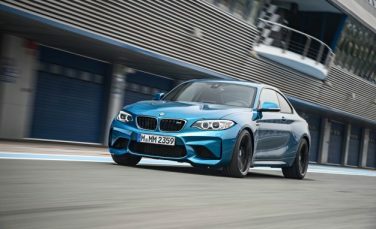 The M Driver's Package is a new option for the 2017 M2. This option includes 2 components. The first component is a new 1-day performance driving course which is tailored to BMW M and higher speed/performance driving. The second component is a software enhancement which increases the top speed limiter from 155mph to 168 mph. 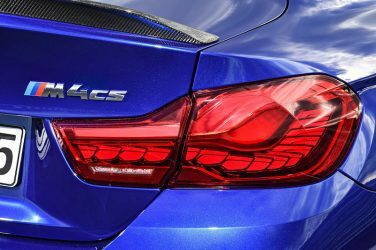 As on the BMW M4 GTS, the distinctive rear lights on the BMW M4 CS are designed entirely using OLED (Organic Light Emitting Diode) technology and produce a fascinating 3D effect. 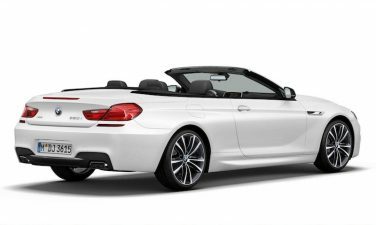 In 2014, BMW produced the 6 Series Convertible "Frozen Brilliant White Edition". Developed exclusively for the US market and limited to 100 units. 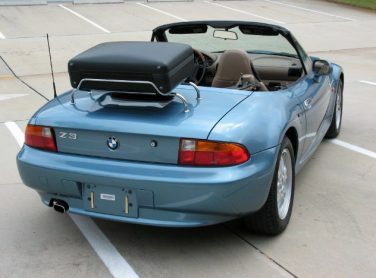 The BMW S42B20 motor was enlarged to 1999cc from the standard 1796cc found in the M42B18 helping increase hp from 138 to 315. 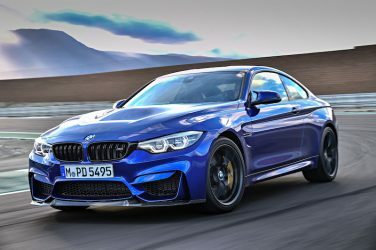 The BMW M4 CS hood is around 25% lighter than that of the BMW M4 as a result of the use of carbon fiber reinforced plastic. 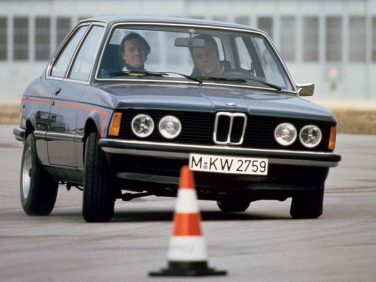 All E12 M535i models are fitted with 195/70VR14 tires but there were two different wheel options. All European-spec models are equipped with 6.5x14-inch BBS cross-spoke alloys while South African-spec versions use a wider 7x14-inch version of a similar design made by BBS/Mahle. 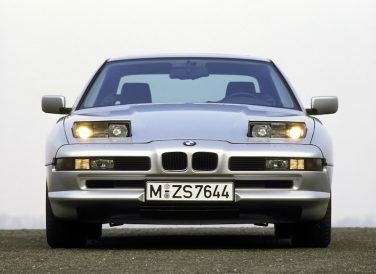 In 1999, the BMW M division produced a single prototype Z3 powered by the M73 V12 engine, in order to test the space efficiency of the engine bay. The car has a 6-speed manual transmission and the weight distribution is 70/30. 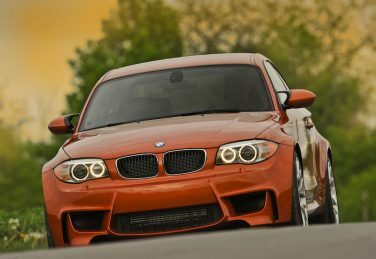 The N54 found in the 1M is identical to other models except for a software tune, an increase in boost from 8.6 to 11.6 psi and an exhaust system. 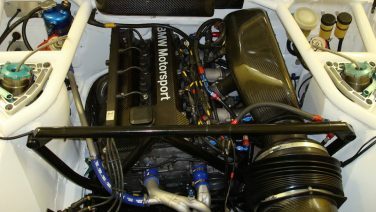 This increased power from 306 hp to 340 hp. Torque increased from 300 to 332 lb-ft with an over boost capable of 369 lb-ft. 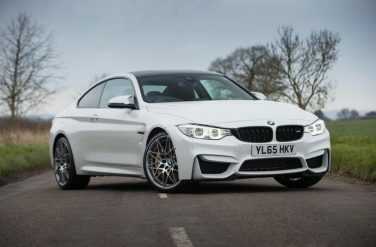 The Competition package costs $4,750 for the M3/M4 and $4,250 for the M4 convertible on top of its base price. 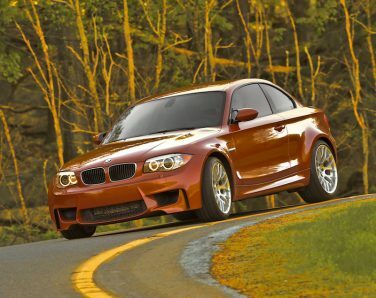 The BMW E82 1 Series M coupe was only offered in Alpine White III, Black Saphire Metallic and Valencia Orange Metallic. 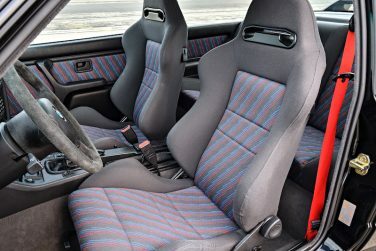 The BMW E30 M3 Sport Evolution featured Recaro sport seats with integrated headrests as standard in Anthracite M cloth. Black leather with the M tri-color logo was an option. 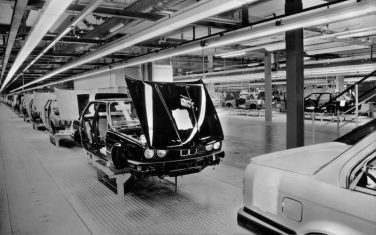 The BMW E31 8 series was produced for 10 years at the BMW Plant Dingolfing, from 1989 through to 1999. 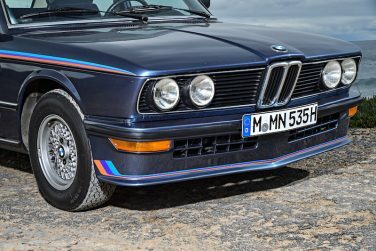 The “E” designation in early models such as E21, E30, E36, E46 stands for "Entwicklung" in German, which in English translates to “Development”. The E24 6 Series was initially based off the E12 5 series platform but changed to the E28 platform in 1982 (1983 USA). This also marked the mid cycle refresh for the E24 model. The James Bond Edition Z3 was based on the 1.8 and included the following unique features: a 007 dash plaque, 007 Bond floor mats, luggage rack, unique wheels and chrome exterior trim. 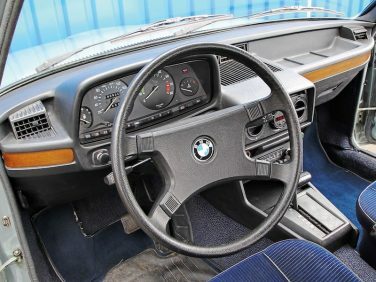 The color scheme was an "Atlanta blue" (306) exterior with taupe leather interior, as per the Z3 which appeared in GoldenEye. 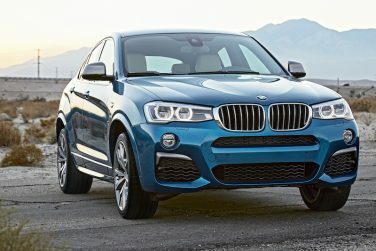 The BMW X4M40 exterior mirrors as well as the vertical slats of the kidney grille are painted in exclusive Ferric Gray metallic. Over 1.3 million E21 3 series models have been manufactured world wide. 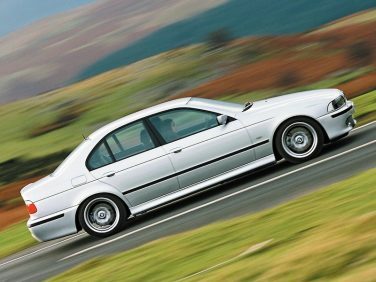 Development for the E39 began in early 1989 and ended in 1995. The final design by Joji Nagashima was selected in June 1992. 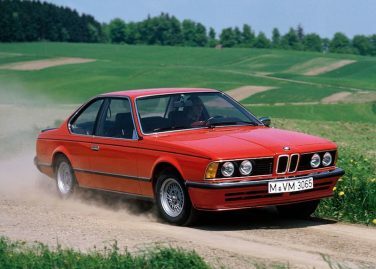 The BMW E12 5 series was BMW's first model to have the stalk on the left side as previous models had the turn stalk on the right side of the column. 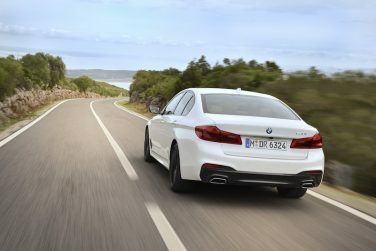 The tailpipes for the G30 5 series are either circular (four-cylinder engines) or trapezoidal (six-cylinder versions and cars with the M Sport package). 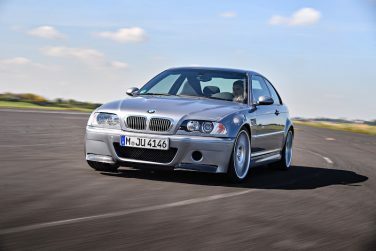 At the Frankfurt Motor Show in 2001, the first E46 M3 CSL Concept Car received overwhelming feedback from customers and the public at large, BMW subsequently decided to build the M3 CSL as a production car. 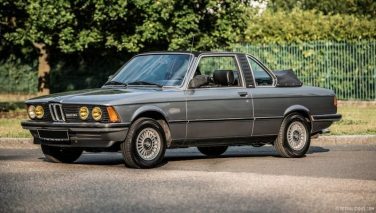 The BMW E21 Baur had a total unit production of 4,595 from 1978 to 1981. 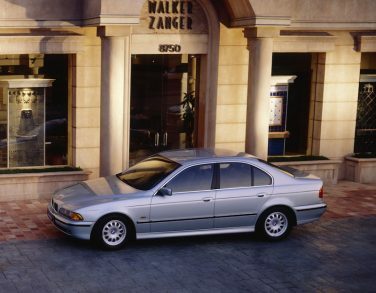 From 1997–2000, the 528i E39 model was sold in North America with the M52B28/M52B28TU engine until 2001 where the 528i was replaced by the 525i using the M54B25 engine.